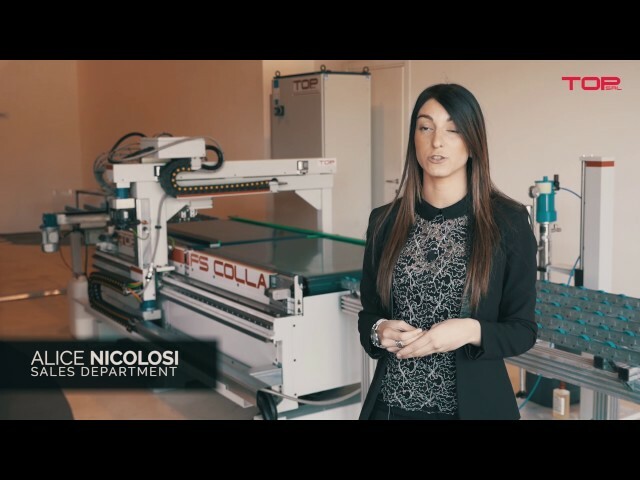 FSCOLLA is a machine to insert glue in horizontal and vertical elements of the furniture. It can put glue both in a continuous way in the groove or in the individual holes, for example for cabinet backs or sides. A standard configuration is not proposed, the number of injectors and the pitch among them is established in agreement with the customer according to their production needs. The machine is equipped with an automatic nozzles cleaning group, directly controlled by the CNC program.